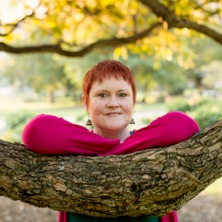 Narelle completed a Bachelor of Arts (double major in psychology), followed by first class Honours in psychology, at the University of Queensland. Her PhD was based at the Queensland Institute of Medical Research (now known as QIMR Berghofer Medical Research Institute), where she merged her interest in psychology with that of behaviour genetics to investigate genetic influences on brain function and cognitive processing. In 2003 she took a post doctoral position with QIMR Berghofer where her work focussed on the genetic analysis of twin data and explored the extent of genetic and environmental influence on multiple behavioural traits, and more recently, brain structure and function. In January 2016 she took up a position as Research Fellow at the Queensland Brain Institute to work with A/Prof Margie Wright and the Imaging Genomics group on a range of imaging genetics projects, including a longitudinal twin study exploring neurodevelopment during early adolescence. Journal Article: Are there distinct cognitive types? Are there distinct cognitive types? Wright, MJ, Luciano, M, Hansell, NK, Geffen, GM and Martin, NG (2004) A genomic wide screen of the P3(00) ERP component: Preliminary findings. Behavior Genetics, 34 6: 666-666. Wright, MJ, Hansell, NK, Geffen, GM, Geffen, LB, Smith, GA and Martin, NG (2000) ERP phenotypes in a genetic study of working memory. Psychophysiology, 37 S14-S14. Hansell, NK, Wright, MJ, Geffen, GM, Geffen, LB, Smith, GA and Martin, NG (2000) Genetic influences on ERP slow wave measures of working memory in adolescent twins. Behavior Genetics, 30 5: 407-407. Hansell, NK, Wright, MJ, Geffen, GM, Geffen, LB, Smith, GA and Martin, NG (2000) Reliability and stability of P3 and slow wave elicited in a working memory task. International Journal of Psychophysiology, 35 1: 14-14. Smit, Dirk, Wright, Margareth, Meyers, Jacquelyn, Martin, Nicholas, Ho, Yvonne, Malone, Stephen, Zhang, Jian, Burwell, Scott, Chorlian, David, de Geus, Eco, Denys, Damiaan, Hansell, Narelle, Hottenga, Jouke-Jan, McGue, Matt, van Beijsterveldt, Catharina, Jehanshad, Neda, Thompson, Paul, Whelan, Chris, Medland, Sarah, Porjesz, Bernice, Iacono, William and Boomsma, Dorret (2018). Psychiatric Liability Genes are Linked to Oscillatory Brain Activity: A Genome-Wide Association Study. In: 73rd Annual Scientific Convention and Meeting of the Society-of-Biological-Psychiatry (SOBP), New York NY United States, (S336-S336). 10-12 May 2017. Streit, Fabian, Rietschel, Liz, Zhu, Gu, McAloney, Kerrie, Frank, Josef, Couvy-Duchesne, Baptiste, Witt, Stephanie H., Binz, Tina, McGrath, John, Hickie, Ian B., Hansell, Narelle K., Wright, Margaret J., Gillespie, Nathan, Forstner, Andreas J., Schulze, Thomas G., Wüst, Stefan, Nöthen, Markus M., Baumgartner, Markus, Walker, Brian R., Crawford, Andrew A., Conde, Lucia Colodro, Medland, Sarah E., Martin, Nicholas G. and Rietschel, Marcella (2017). Heritability of hair cortisol and genetic overlap with psychological variables. In: 47th Annual Conference of the International Society of Psychoneuroendocrinology, Zurich, Switzerland, (80-80). 7-9 September, 2017. Pol, Hilleke Hulshoff, Brouwer, Rachel, Glahn, David, Hibar, Derrek, Hua, Xue, Jahanshad, Neda, Abramovic, Lucija, Franz, Carol, Hansell, Narelle, Koenis, Marinka, Mather, Karen, Panizzon, Matthew, Strike, Lachlan, Swagerman, Suzanne, Wen, Wei, Boomsma, Dorret, Gilmore, John, Gogtay, Nitin, Kahn, Rene S., Kremen, William, Sachdev, Perminder, Wright, Margaret and Thompson, Paul (2015). Genetic influences on longitudinal changes in subcortical volumes: results of the ENIGMA Plasticity Working Group. In: 45th Annual Meeting of the Behavior Genetics Association, San Diego, United States, (662-663). Jun 20, 2015. Luciano, Michelle, Evans, David, Hansell, Narelle, Medland, Sarah, Montgomery, Grant, Martin, Nick G., Wright, Margaret and Bates, Timothy (2013). Genome-wide association for reading and language abilities in two population cohorts. In: 43rd Annual Meeting of the Behavior-Genetics-Association, Marseille, France, (530-530). 28 June-2 July 2013. Hill, William, Davies, Gail, Van de Lagemaat, Louie, Christoforou, Andrea, Fernandes, Carla, Liewald, David, Croning, Mike, Payton, Antony, Craig, Leone, Whalley, Lawrence, Horan, Michael, Ollier, William, Hansell, Narelle, Wright, Margaret, Martin, Nick G., Montgomery, Grant, Steen, Vidar, Le Hellard, Stephanie, Espeseth, Thomas, Lundervold, Astri, Reinvang, Ivar, Starr, John, Pendleton, Neil, Grant, Seth, Bates, Timothy and Deary, Ian (2013). Human cognitive ability is influenced by genetic variation in components of postsynaptic signaling complexes assembled by MAGUK proteins. In: 43rd Annual Meeting of the Behavior Genetics Association, Marseille, France, (521-522). 28 June - 2 July 2013 3.
de Moor, Marleen, van den Berg, Stephanie, Wouda, Jasper, Verweij, Karin, Hansell, Narelle, Martin, Nick G. and Boomsma, Dorret (2011). Increasing GWAS sample size using item response theory: A pilot study of the personality consortium. In: Behavior Genetics. 41st Annual Meeting of the Behaviour-Genetics-Association, Newport Ri, (899-900). Jun 06-09, 2011.
de Moor, Marleen H. M., Boomsma, Dorret, I, de Geus, Eco J. C., Willemsen, Gonneke, Hottenga, Jouke-Jan, Distel, Marijn A., Abecasis, Goncalo R., Terracciano, Antonio, McCrae, Robert R., Costa, Paul T., Hartman, Catharina A., Spinhoven, Philip, Penninx, Brenda W., Esko, Tonu, Allik, Jueri, Realo, Anu, Metspalu, Andres, Hansell, Narelle K., Medland, Sarah E., Wray, Naomi R., Wright, Margie J., Martin, Nicholas G., Amin, Najaf, Aulchenko, Yurii S., Janssens, A. Cecile, Oostra, Ben A. and van Duijn, Cornelia M. (2009). Meta-analysis of genome-wide association results in > 10.000 individuals for the big five personality traits. In: 39th Annual Meeting of the Behavior Genetics Association, Mineapolis, MN, United States, (643-643). 17-20 June 2009 . Hansell, N. K., Wright, M. J., Geffen, G. M., Geffen, L. B. and Martin, N. G. (2003). ERP endophenotypes of cognitive ability: A genetic study. In: Australian Journal of Psychology: The Abstracts of the 3rd Victorian Postgraduates in Psychology Conference. 3rd Victorian Postgraduates in Psychology Conference, RMIT University, Victoria, (19-19). 23 Nov 2002.
de Geus, E, Posthuma, D, Hansell, N, Malone, SM and Mulder, E (2002). Genetic variation in brain function. In: Psychophysiology. , , (S3-S3). .
Hansell, Narelle Kaye (2003). A genetic investigation of brain function and cognitive ability PhD Thesis, School of Psychology, The University of Queensland.